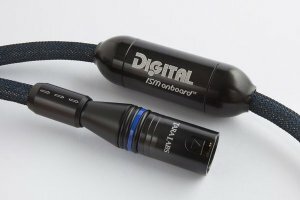 The ISM Onboard™ Digital has New Onboard Shield™ technology for the dissipation of RFI/EMI and precise transfer of digital data for components requiring 75 ohm and 110 ohm characteristic impedence. It has Isolated Floating Shield™ and Ground Station® technologies within ISM Onboard Capsule™. It has RSC® SA-OF8N® copper conductors; Aero-PE® and PTFE dielectric; both mylar backed foil and Anti-Corrosion coated SA-OF8N® copper braided shield.